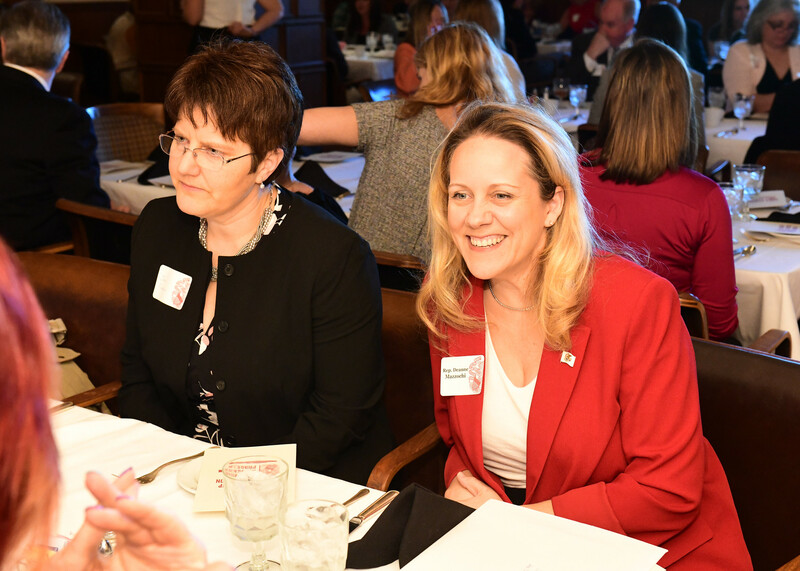 State Representative Deanne M. Mazzochi (R-Elmhurst) welcomed Jenifer Fabian, the Executive Director of People’s Resource Center in DuPage, to Springfield on Tuesday for a women’s brunch that honored the contributions of emerging female leaders from throughout the state. People’s Resource Center serves residents of DuPage County by providing an array of services to get people on their feet, such as; free food, clothes, social services, job training and job search assistance. Their offices in Westmont and Wheaton serve over 30,000 residents in need every year. Fabian joined almost 40 emerging female leaders from across the state who are each taking bold steps to make Illinois a better place to live and work. In addition to the recognition brunch, the group participated in a discussion about what issues are important for Illinois women, and how the General Assembly can create policy that reflects their priorities.